Startup initiatives are on the rise and for many good reasons. Fortunately, there is more financing available than ever before. Community-driven innovation and co-working hubs are popping up all over the world. And, educational courses on how to begin your own business are easily accessible on the internet for new business owners. Hence, it is a tempting time to be involved in entrepreneurship – it’s a booming industry that is fruitful these days around the globe and sustaining at a decent pace. 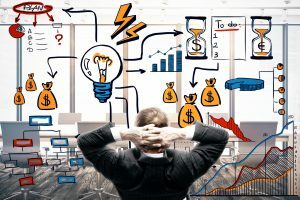 Even though entrepreneurship is rising with immense popularity, startup culture accompanies its unique set of issues and challenges that its leaders and founders must commit to addressing. In this article, we will explore the top three challenges that startup enthusiasts are facing today and smart strategies that you can use to overcome these impediments. How well do I know the industry or customer problem? Why would anyone trust my services and how do I provide an effective solution for their problem? How will I monetize and is there is a valid financial plan or not? Will the plan be sufficient to cover all the costs associated with developing and operating the solution? Answering the above questions will ease your entrepreneurial journey with good revenues. The more you are aware of your product, the better you can develop and sell it. Lack of financial resources not only hamper startup enthusiasts from initiation of their business but also challenge them to manage and sustain the business. When your new company is struggling with limited monetary resources, developing a culture of deliberate, focused work is vital. Bootstrap your startup business: Self-funding or bootstrapping is a common and effective way to arrange funds to overcome the financial limitations on an urgent basis. These often include your personal finances. Crowdfunding as a Funding Solution: Crowdfunding is a smart fund-raising tactic that not only helps you arrange amounts of hundreds and thousands of dollars but also boost your understanding of the product market and puts you on the map. GoFundME, Fundable, Kickstarter, and Indiegogo are common crowdfunding websites which are helping new startups financially. Obtain an Angel Investment In Your New Business: Angel investors are people with surplus cash reserves who are keenly interested in funding new startups. You have many angel investors in your city or state to help finance your business. Go for Bank financing: Once you have started your business, obtaining bank financing is much easier than when you started with a vague idea of your startup without any portfolio. Getting a bank loan is one of the most common tactics to raise capital for their business. Leverage a Business partner: You may have a well-developed, unique business product or service solution but not enough financial reserves to bring them to your final customers effectively. You might know someone who believes in the strength of your business and validity of your product, has very good professional relationships with you, and has sufficient finances to help you overcome your financial limitations. A partnership with that person could be a smart step. Acquire Venture Capital for Your Startup: Venture capitalists are always willing to invest in businesses that have huge potential. It is often more appropriate for startups that have already been generating revenues. Established organizations typically have well-defined corporate cultures, clear goals, transparent rewards and remuneration systems, and measurable performance expectations. Moreover, they also accompany refined training and developmental processes that help employees maximize their skills and render optimal performance. Unless the startup is fortunate enough to have a passionate founder and experienced leadership, the new business usually begins their journey without a proper company structure and without a convincing corporate culture. This often results in internal challenges for a new startup such as employee turnover, conflicts, and disappointments. In such circumstances, a great product or service solution with smart marketing strategies may also fail. Just as bookkeeping is vital for producing financial statements, having a proper business structure is vital for a company’s growth and prosperity. Define roles of every team member through the organizational charts of your startup. Document all of your business operating procedures. Distribute work and delegate tasks. Establish a system for managing your team and monitoring the progress of every member. Bring in professionals who are familiar to the challenges of inefficient execution of the business operations. A well-designed business structure ensures proper execution of business operations.